An exquisite range of far-eastern and Asian delicacies awaits in this gem of a restaurant hidden away amid tropical greenery. 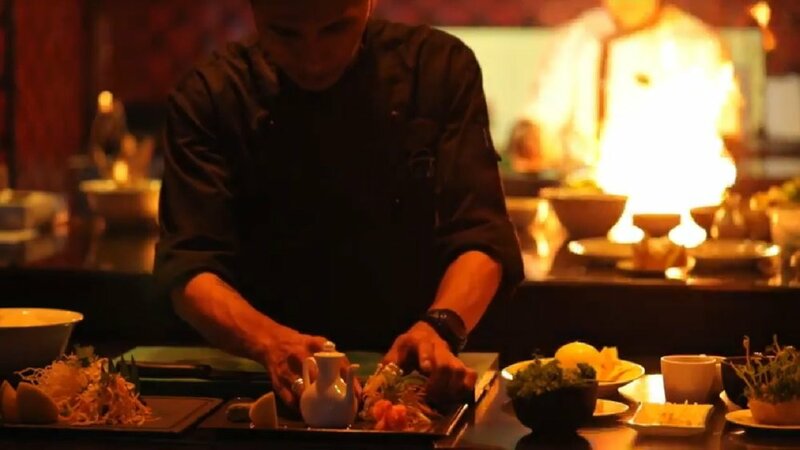 Open for dinner each evening, diners can choose from an extensive sushi and sashimi list made from the freshest local seafood as well as classic interpretations of regional Asian specialties from China, Japan, Indonesia, Thailand and Vietnam. The décor, with its calm reflecting pools and typical Japanese-inspired architecture, sets the scene for a memorable evening of fine dining.